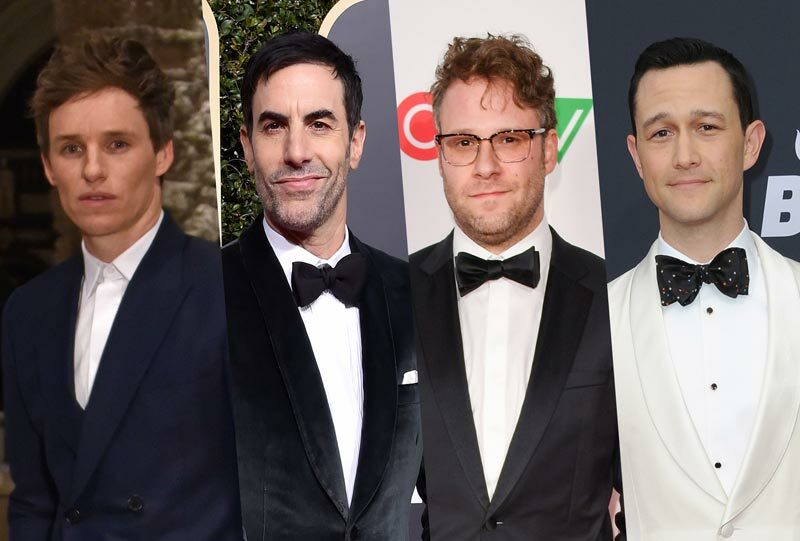 Nearly two months after delaying the film once again, Rocket Science Productions has announced that the long-in-development courtroom drama The Trial of the Chicago 7 from writer-director Aaron Sorkin (Molly’s Game) is officially back on track with an A-list ensemble cast. Sorkin’s second directorial effort will feature Oscar-winner Eddie Redmayne (Fantastic Beasts: The Crimes of Grindewald) as Tom Hayden, Oscar-nominee Sacha Baron Cohen (Who is America?) as Abbie Hoffman, Emmy-nominee Seth Rogen (The Lion King) as Jerry Rubin, Golden Globe-nominee Joseph Gordon-Levitt (Snowden) as Richard Schultz, Jonathan Majors (White Boy Rick) as Bobby Seale and Alex Sharp (The Hustle) as Rennie Davis. This will mark Gordon-Levitt and Rogen’s third major pairing after 50/50 and The Night Before, while Redmayne and Cohen appeared together in 2012’s Les Misérables. The true story follows protesters who disrupted the 1968 Democrat party convention with an anti-Vietnam war “carnival” that turned nasty. Demonstrators threw bricks, police responded with tear gas and the center of Chicago was engulfed in flames. Curfews only escalated the violence. After the clashes, independent investigators blamed eight police officers and eight protesters including Hoffman, who had already disrupted the New York Stock Exchange with showers of fake money. The police were not charged but the protesters were accused of inciting a riot. One was jailed for contempt, leaving the seven to fight the charges. Steven Spielberg was, for years, planning to direct The Trial of the Chicago 7 himself, but the plan became to move forward without Spielberg behind the camera when production was originally scheduled to start in January 2014. Paul Greengrass (22 July) and Ben Stiller (Escape at Dannemora) were both in talks to replace Spielberg at one point, but nothing ever came to fruition with either party. RELATED: Sacha Baron Cohen Says No More Who is America? Sorkin, who wrote the script in 2007, is just coming off of his directorial debut in last year’s Molly’s Game, which earned rave reviews from critics and audiences and was nominated for both an Oscar and a Golden Globe for Best Adapted Screenplay. The film will also be produced by Marc Platt, who has Oscar nominations for Bridge of Spies and La La Land and has also produced hits including Drive, 2 Guns, Into the Woods and Mary Poppins Returns. Spielberg’s Amblin Entertainment has been attached since he was originally set to direct the project, but Rocket Science is currently set to handle international distribution and will be introducing it to financiers in Berlin next week. The post Aaron Sorkin’s The Trial of the Chicago 7 Back on Track With All-Star Cast appeared first on ComingSoon.net.